Located in Maine's famed outlet shopping district of 120 outlet stores, Kittery Premium Outlets is just one hour from Portland, ME and Boston, MA. An easy drive from several of New England's major cities, we are located just off I-95, Exit 3 north and Exit 2 south, in Kittery Maine. We feature over 60 stores including Banana Republic, Coach, Cole Haan, Columbia Sportswear, J.Crew, New Balance, Polo Ralph Lauren and more. All at savings of 25% to 65% every day. We offer international sizing charts and wheelchair rentals. Kittery is a vacationer's paradise, minutes from Southern Maine's sandy beaches and seaside villages. Whether you're taking a day trip to shop with the family or want to spend the weekend exploring the shopping center and surrounding attractions, you'll love stopping by Kittery Premium Outlets for a pleasant getaway. Enjoy an assortment of delectable dining options at one of the available restaurants or grab and go stations while shopping for an experience that is truly unlike any other. Either way, you'll love the shopping, dining and attractions readily available in the area. 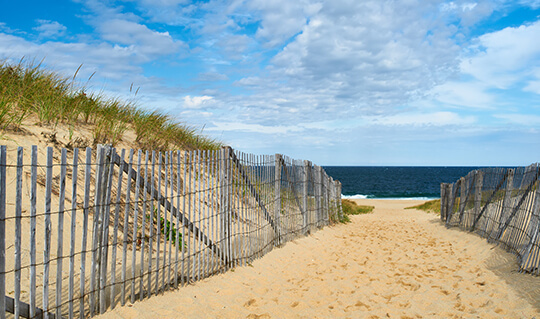 Whether your plan is to stay at Kittery Premium Outlets for a day full of shopping, or you want to stay for a fun getaway or vacation, you'll love the endless attraction that are available to you and your family in the area. Take a trip with your little ones to The Children's Museum. This hands-on museum for children and their families features three floors of exhibits and activities for all ages. Or, head to Drift Contemporary Art Gallery to browse paintings, photography and sculptures. Discover beautiful hidden beaches from dawn until dusk at Fort Foster and explore the remains of bunkers built in 1872. Take an interesting tour when you visit the Isles of Shoals Steamship Company. Harbor cruises, lighthouse cruises, party ships dinner parties holidays and more are available from May to October. If you just want a day to get away, hit up the links at The Ledges Golf Club. Offering the finest golfing experience on the seacoast, you'll love the spectacular area scenery and various woodland inhabitants. 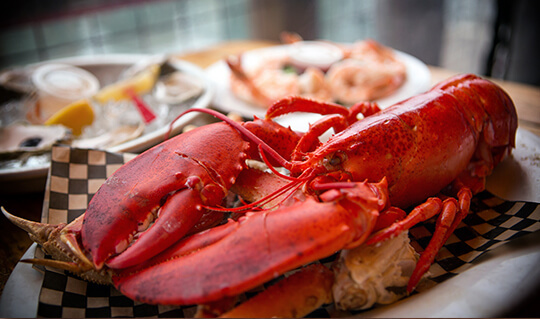 Savor the flavor of Maine when you visit the shopping center for a vacation or weekend getaway and enjoy the variety of dining options available to you in the area. You'll love the vast variety of flavors in the area, from classic eastern seafood to dessert bars, Mexican fare and more. Head to Bob's Clam Hut in the middle of the day for a lunch pitstop of coastal Main comfort food. For dinner and a view, Cape Neddick Lobster Pound is your go-to. Classic New England seafood and cocktails in an upscale setting is perfect for date night. Or, try out any of the other local dining options that are close to the shopping center for a unique and delicious experience: Chauncey Creek Lobster Pier, Cupcake Charlie's, Dockside Restaurant, On York Harbor, Firefly Diner, Fishermen's Dock and Guac-N-Roll Burrito Grill & Cantina. A vacation truly isn't complete without a night out on the town, and the area surrounding the shopping center has the perfect nightlife options to finish off your getaway perfectly. Head to The Red Door for a sophisticated evening complimented by cocktails and music. Perfect for date night, the exposed brick and plush seating make this a must-see. Or, check out Portsmouth Gas Light Co. for a night you'll never forget. This historic, multi-level building features a tavern, pizzeria, nightclub and deck with live music so you can have dinner, drinks and dancing all in one place. 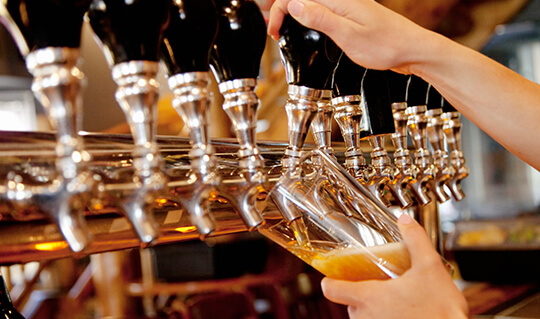 There are plenty of options for a night out near the shopping center to complete your vacation. If you're interested in making Kittery Premium Outlets your next vacation destination, there are a wide variety of accommodation options to choose from for both the business and leisure traveler. 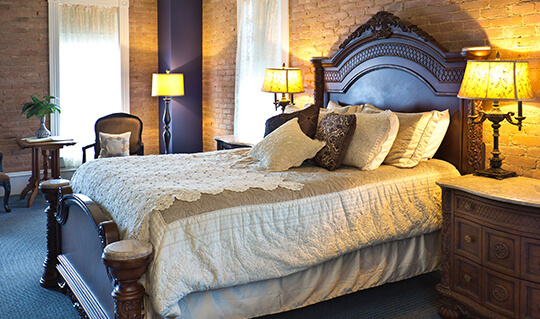 From bed and breakfasts to charming inns, or luxury resorts to economical motels, the Strip has a selection of lodging to meet every individual comfort and budget. Check out the local hotels and inns America's Best Inn, Durham Days Inn, Fairfield Inn Portsmouth Seacoast, Gorges Grant Hotel, Hampton Inn Portsmouth Central and The Inn at Tanglewood Hall	for a pleasant and relaxing stay very near to the shopping center. There are several more hotels in the area that provide a warm welcome onto the Strip and are sure to fulfill your ultimate shopping experience at Kittery Premium Outlets.